Astarte Moon Inspirations a life closer to nature's rhythms : Gratitude quote from Michael Bernard on being grateful for what you already have. 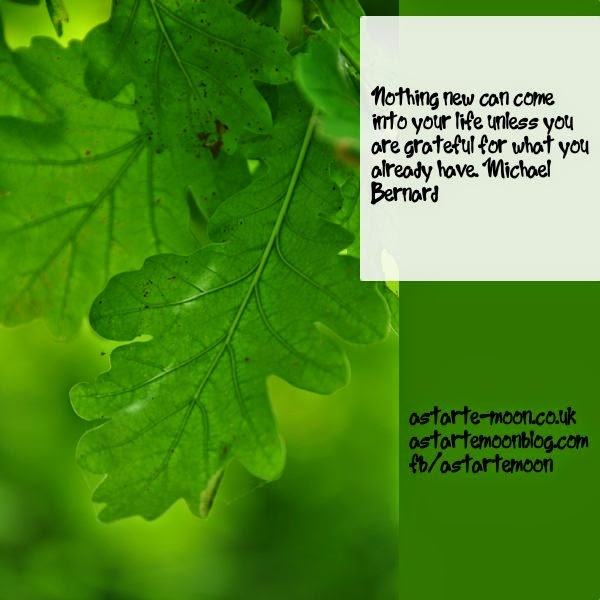 Gratitude quote from Michael Bernard on being grateful for what you already have. I love this wonderful quote on Gratitude from Michael Bernard. "Nothing new can come into your life unless you are grateful for what you already have. Michael Bernard"